After a year’s hard work, brainstorming and working with parties in Papua New Guinea and Australia, the Arris team are excited to be preparing to go to print with labels for a brand new food product. 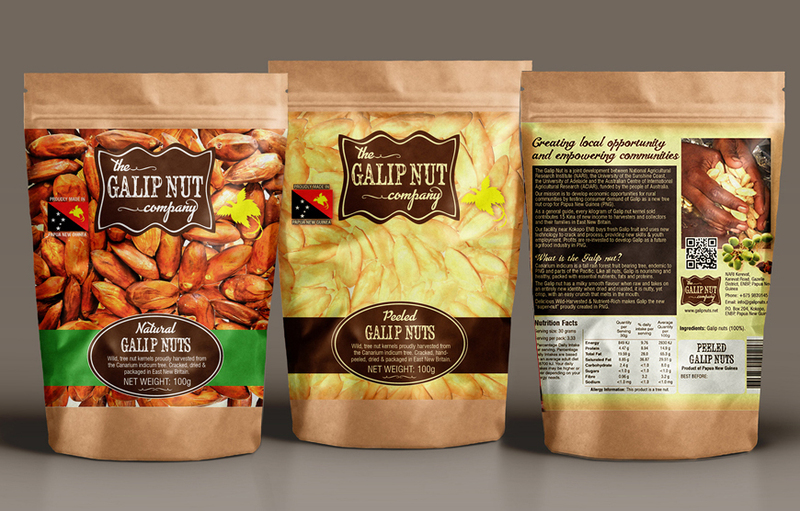 The Galip Nut is indigenous to PNG, and the first PNG grown and produced product. Our role has been to help with marketing and branding in preparation to introduce the nut to the commercial retail market for the very first time. We’ve also launched a new website that tells the whole story of the project and gives details of how to get involved. Visit the Galip Nut Company here. The challenge for us was not only the introduction of a new product into a very competitive retail environment but also to tell the story of ethical production and empowering local communities. 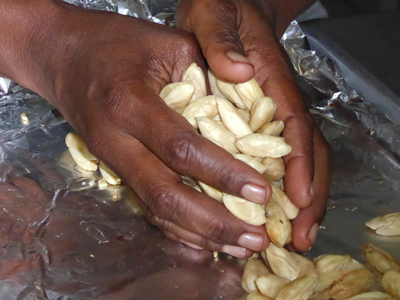 This initiative has been implemented to give the people of PNG, who harvest the nut, an opportunity to develop a market for their unique product. 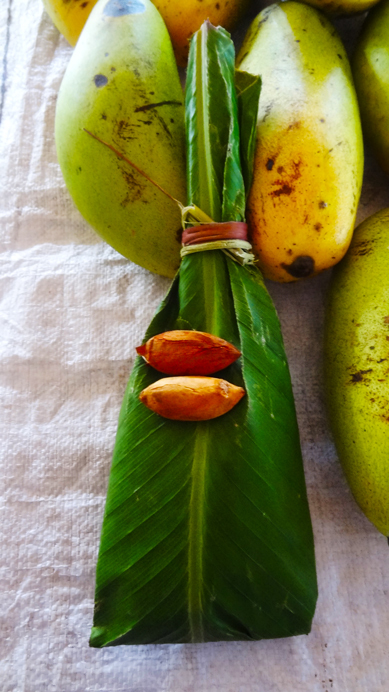 As a general guide, every kilogram of Galip Nut kernel sold contributes 15 PNG Kina ($5.74 AUD) of new income to harvesters and collectors and their families in East New Britain. Our task was to convey this message of authenticity and the inspiring story of empowering the local community. We certainly hope consumers will embrace the Galip Nut. 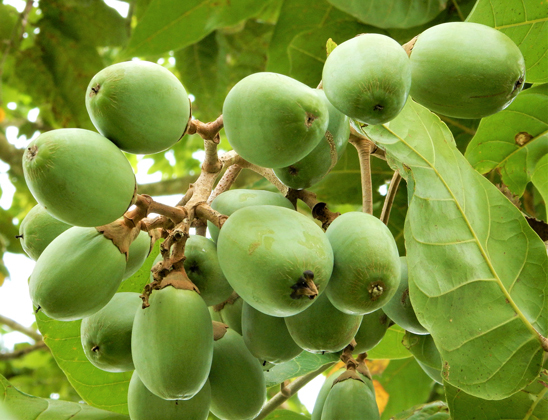 We are honoured to be involved in the Galip Nut story due to its humanitarian and pioneering nature, and are thrilled to see the project meet this milestone.